Domperidone is used to treat fescue toxicosis. Endophyte-infected fescue grass is found in and around pastures in most of the United States and is especially prevalent in the South. Toxins produced by the fungal endophyte, Neotyphodium coenophialum, that grows in fescue, depress the hormones necessary for normal labor, delivery, and lactation in mares. Domperidone counteracts the effects of the fungal toxins by competitively blocking dopamine receptors. Mares that develop fescue toxicosis have increased gestation lengths, poor udder development, low or no milk production, and are prone to a high incidence of premature placental separation or retained placentas, difficult deliveries, and large, weak foals with increased foal and mare mortality. Use of domperidone as prescribed during pregnancy and after foaling greatly reduces complications and aids in milk production. 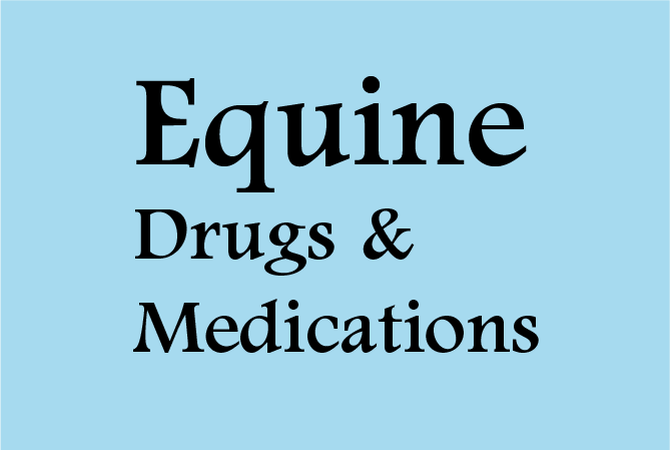 Domperidone is used in pregnant mares when fescue toxicosis is diagnosed or suspected. Used after foaling, it aids in milk production. Domperidone may be used for non-fescue related lack of milk production and for low milk production. Owners should be aware that treatment with EQUIDONE Gel may result in failure of passive transfer of immunoglobulins to the foal and that this may occur even when the mare does not drip milk. Owners should be advised that all foals born to mares treated with EQUIDONE Gel should be tested for serum immunoglobulin (IgG) concentrations. Owners should be informed that EQUIDONE Gel causes false positives on the milk calcium test used to predict foaling. Owners should be directed on the proper use of the multi-dose dosing syringe, including how to set the dial ring for accurate dosing after the first dose. Some leakage of milk or colostrum prior to foaling has been reported. Domperidone may cause a false-positive reading on the milk calcium test that is used to predict foaling. It should not be used when stimulation of the gastrointestinal tract might be dangerous, such as in the presence of GI obstruction, perforation, or hemorrhage. Domperidone is not yet FDA approved. It is a prescription drug and may be purchased by a veterinarian through the manufacturer. It is only available by or on the lawful written or oral order of a licensed veterinarian. Domperidone is not used in competition horses. No information pertaining to overdose is found in the literature.